Preheat the oven to 400 deg F .Sieve the baking powder, flour and sugar. Beat the butter until pale and creamy using a mixer . Stir in the chopped green chillies ,herbs and the yoghurt. Beat the mixture until everything comes together. Slowly add in the sifted flour mixture and beat it in the lowest speed poss to bring everything together. U might have to work the dough using ur hands and make a soft dough. Dust the working area with some flour and tranfer the dough ,roll out an 1/4 inch thick. Use any cookie cutter to make shapes and place on the baking sheet lined with wax paper /parchment paper, an inch apart. Reduced the green chillies as well. U may also change acc to ur preferences..
wow looks so tempting and spicy biscuits !! Loved them !! Looks superb!!! 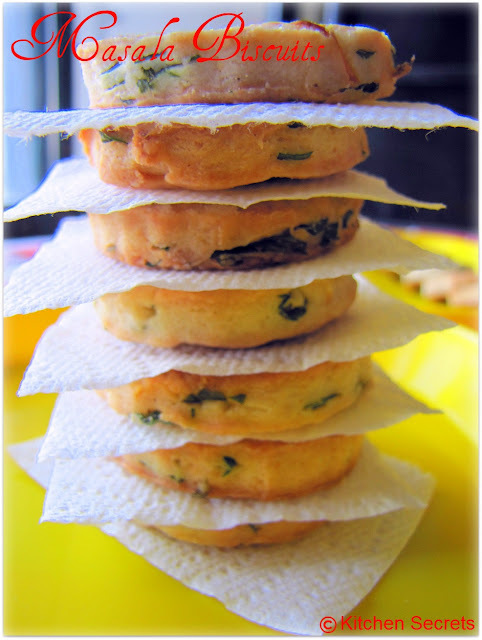 Alwayz wanted to try my hand at making these at home & this looks like the perfect recipe!! Yummy and lovely. They look awesome. lovely biscuit and gorgeous presentation. dear.keep rocking. Delicious and spicy biscuits....would love to have some with tea!!! Nice clicks too!! awesome and perfect cute biscuits. 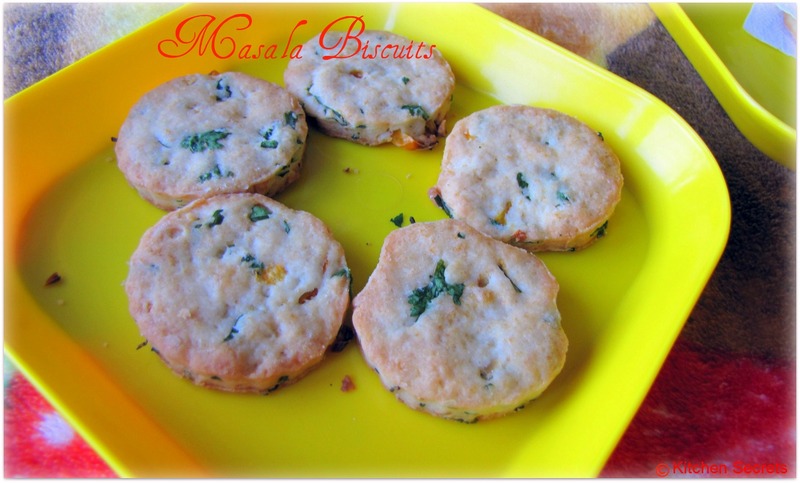 Wow masala biscuits looks so delicious and inviting! 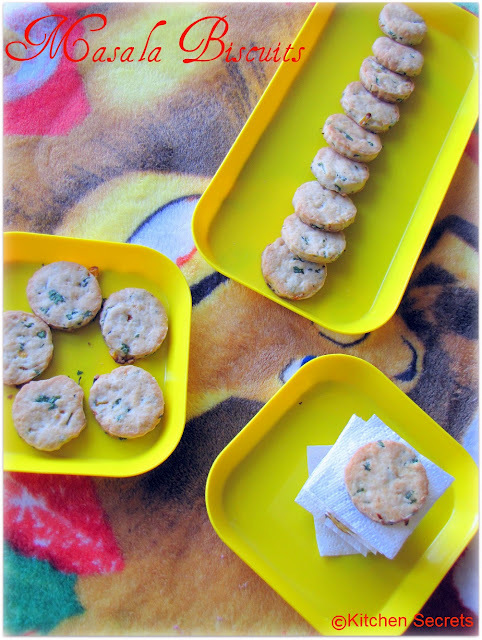 Biscuits looks so pretty and yummy,if i make them i wont stop munching it..Beautiful clicks..
Masala biscuit looks delicious and nice. Love the cute shape of the biscuits.. definitely a winner since it is savory.. Yummmm..
Biscuits look wonderful. Very crunchy and well baked. wow..so tempting...looks superb delicious dear !I love any snacks in namkeen ! lovely presentation... and yummy biscuits.. it will go so well with hot hot tea. Yummy crunchy biscuits. Good trial and are perfect. Love it. Wow, this looks fantastic and I know they taste the same. Love your photo styling. These sound yummy. I must try these soon!